Did You Know That Children Can Benefit From Being Adjusted As Well? 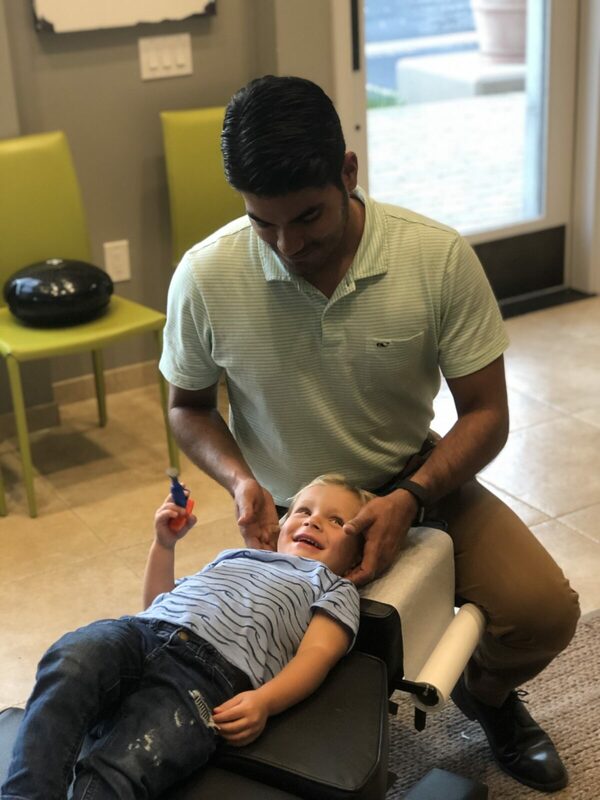 Why Should Your Child See A Chiropractor? Why Does My Child Need A Chiropractor? Here are some testimonials and quotes from some of our smallest practice members (or their parents)! “…The best thing about weekly chiropractic care to us is the wellness aspect! We have hardly had any medical problems, and even though we occasionally still catch colds, they’re never as long or frequent as all of the other kids we know as a basis of comparison. Good health is the most basic component of quality of life. As such, it makes sense to bring the family in for regular maintenance rather than waiting until we break down. Besides, John and Aeryn love all the staff at 100%! They look forward to coming so John can tell wild stories to the doctors about dinosaurs and volcanoes and such while getting adjusted. Of course they both adore all the lovely ladies that greet us and help us at the front desk each week. Then there’s the train table, play area, and juice boxes. What kid wouldn’t love that feeling of being spoiled by ‘family’?